Riley Construction Headquarters, designed by Partners in Design Architects, becomes Kenosha County's first LEED Certified Building. 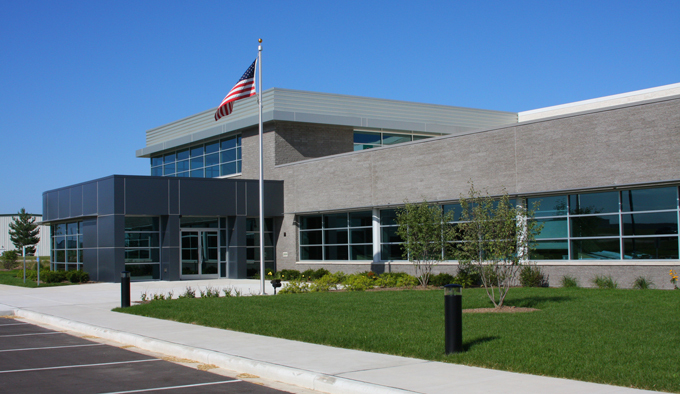 Partners in Design Architects, in partnership with Riley Construction, designed the first LEED Certified building in Kenosha County. "When the Riley Construction principals approached us about designing their new headquarters," stated Tom O'Connell, a PIDA principal, "they wanted to lead by example and show their commitment to sustainable design by asking us to work with them in creating what would become Kenosha's first LEED certified building." The building materials selected showcase Riley's self performed trades including concrete, masonry and carpentry. "We also included such elements as exposed structural and mechanical systems to show how the building is assembled," added O'Connell. "The sustainable systems and components, many of which are becoming more mainstream, allowed for long term energy savings and overall better work environments for the staff." This project was awarded LEED Silver certification by the United States Green Building Council (USGBC).